The Honda Accord is like the Labrador retriever of family sedans. Never fussy and always eager to please, Honda's stalwart is also available as a sleek coupe and with a variety of powertrains that now include two hybrids. It may not have the striking looks or all the features of some competitors, but the Accord remains brilliant in its balance. The Honda Accord is a fantastic car. It is a comfortable and stylish car. The Honda Accord is a great car. Very comfortable and spacious and is always a blast to drive especially when you have the v6 option like mine does. The only concern I have is the vcm technology which can reduce the life of the vehicle. It shuts off three cylinders when you are driving at a steady speed and it causes the car to vibrate intensely. This technology was made to improve fuel efficiency but Honda never really thought of the adverse effects. Such as, the cylinders will not be properly heated at times and knocks when the vcm shuts off and the other three cylinders kick in. Aside from this issue, which is fixable with a vcm muzzle or tune. The car is a stylish, fun, and decently reliable vehicle that will take you from A to B in a comfortable driving experience. 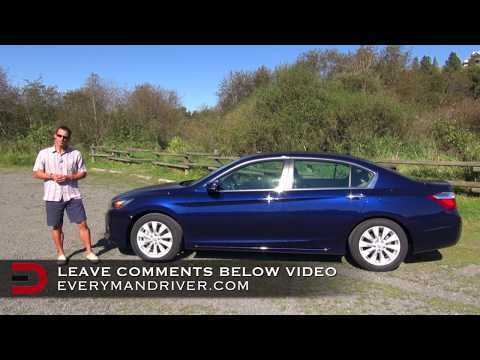 Honda Accord v6 with 6-speed manual=win! My Accord is a v6 2-door coupe and has really surprised me with its performance capability. The power of that motor combined with a 6-speed manual transmission makes for a very pleasing drive. I have never felt as if the vehicle was underpowered or sluggish. The interior is well built but average looking. Some trim pieces appear to be cheaper made but have held up during my 1+ year of ownership. I have yet to experience any unreliability issues or problems out of the car. The bucket seats are made of vinyl and appear to hold up well. The stereo needs to be tweaked as the factory presets are flat at best. Overall I have been very pleased with this car and plan to keep it for good. High security. Comfortable. Old but still running. It is very comfortable to drive and it has a very high security system so you do not have to be worried about people stealing your car. It may be old, but it is still running fine! There are few problems, but not that bad. For example, the car was making a loud noise and realized the part of the car was old so I had no choice but to replace it to new one. Another example was the brake. I had some trouble with the brake because it did not stop fully so I had to put more pressure on the brake. Did not fix it because I did not think it was necessary. Everything's running fine. Honda will notify owners, and dealers will replace the sensor, free of charge. Dealers will perform an interim remedy of applying adhesive to the case to prevent water intrusion. The recall began November 8, 2017. Owners may contact American Honda Customer Support Center at 1-888-234-2138. Honda's number for this recall is KG0.